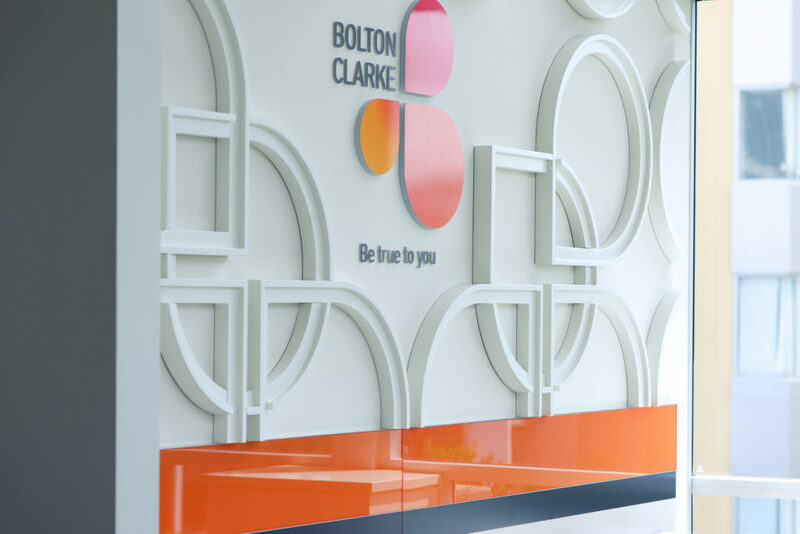 When Bolton Clarke became the new face of RSL Care, RDNS and Rally Homecare they commissioned us to ensure that their Head Office reflected their new brand to their customers. 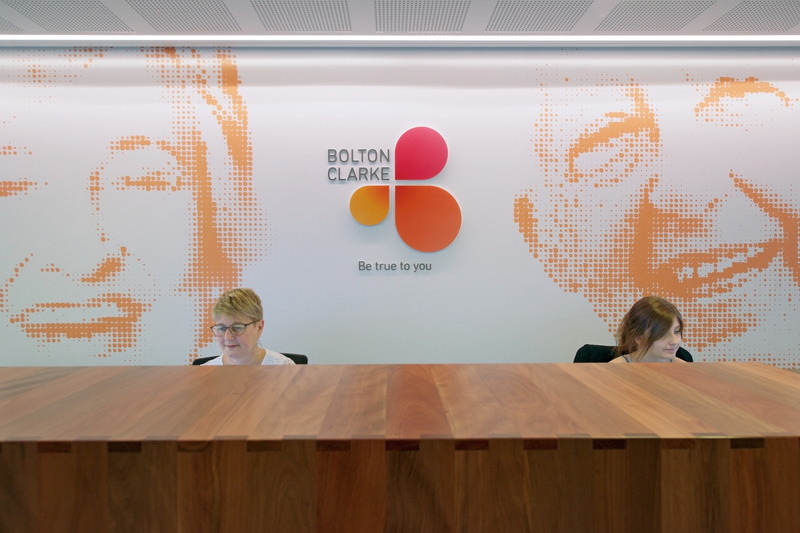 Bolton Clarke is a people orientated organisation that provides at home support, retirement living and residential aged care services but the reception and board room had a stark, industrial aesthetic more suited to the engineering firm that had previously occupied it. Our brief was simple, create warmth and friendliness to reflect the Bolton Clarke values. 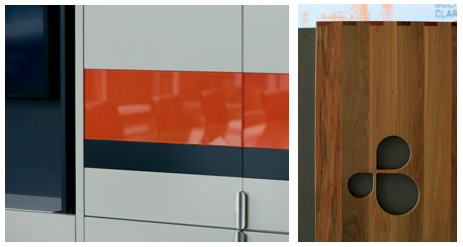 We were also tasked with incorporating the new logo into the board room in an imaginative way. 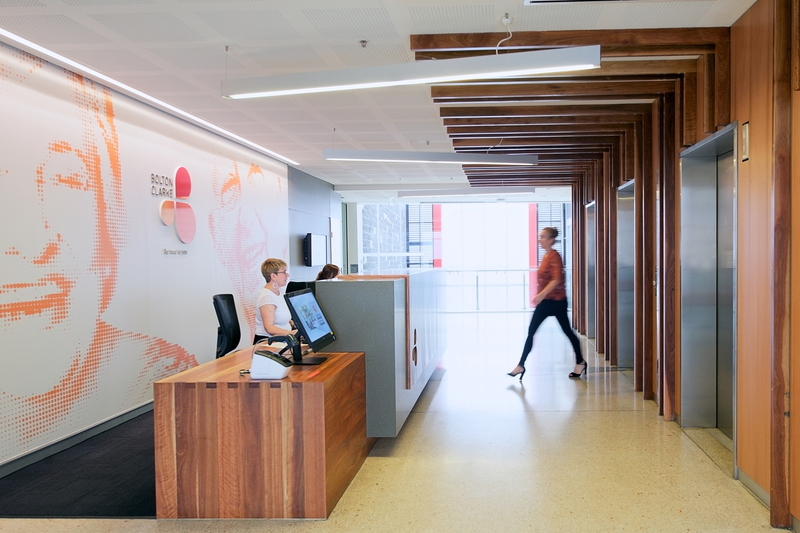 Our response was to utilise timber to warm up the dark stone reception desk and concrete rendered walls. New lighting and furniture also brightened the area. A large feature graphic in the corporate colours dominates reception and the smiles though abstract capture your attention immediately when you exit the lift doors. 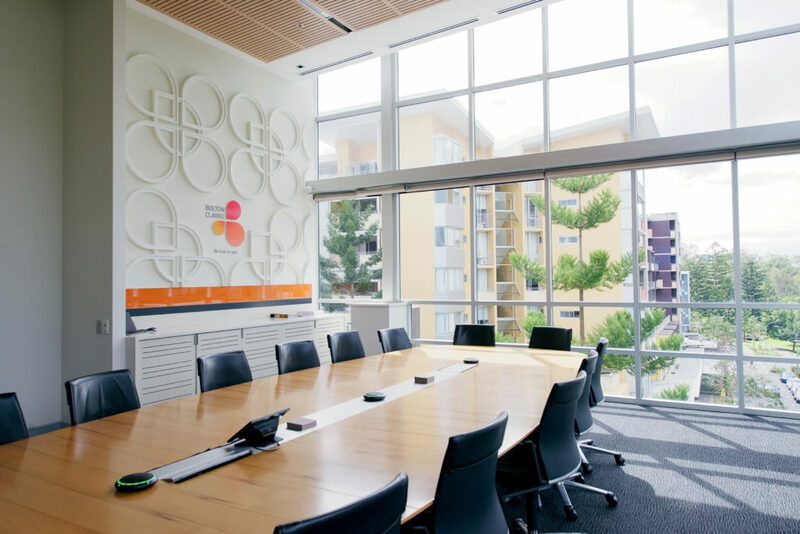 The boardroom too has been softened with a three-dimensional graphic wall that emphasises the new logo creatively.